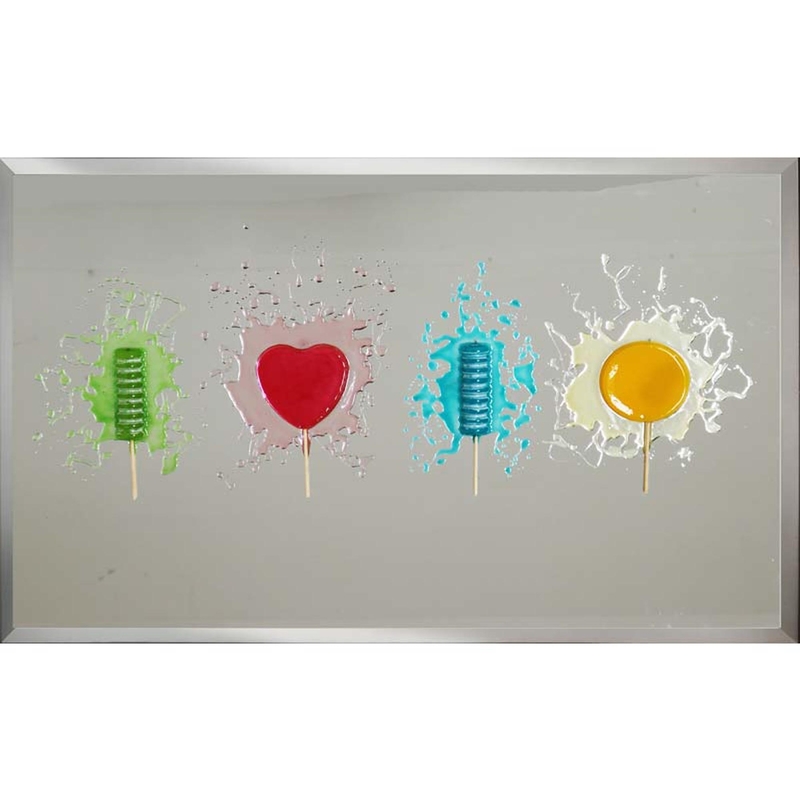 Give your home some colour and fun with this 4 Coloured Lollipops design on mirror. The piece would look amazing in any room, but especially good to give your conservatory, garden room or kitchen some modern style while keeping it exciting. Designed and hand made in the UK, this piece also comes in custom size, letting you have your desired design in your desired size. Completed with a classic mirrored frame.